← Oh, the difference a knob can make! Just because you bought it for yourself why can’t it be a present? I think it can. I do a lot of my shopping online, more than the average person. I think this is partially from going to a rural college and partially because I am a big-time bargain hunter. For years I have been buying vintage jewelry and scarfs on eBay and Googling things like “discount cabinet knobs” in an effort to find the best deal. With the rash of discount designer websites like Guilt Group and Ideeli sending me daily emails I am delighted, and struggling with my self restraint! One of the interesting aspects of ordering from these sites is that there can be a delay between when you order and when the product will ship. Everyone likes instant gratification after a purchase so on one hand it can feel cruel to have to wait weeks, while on the other I think it can actually increase your delight when the box does finally arrive! 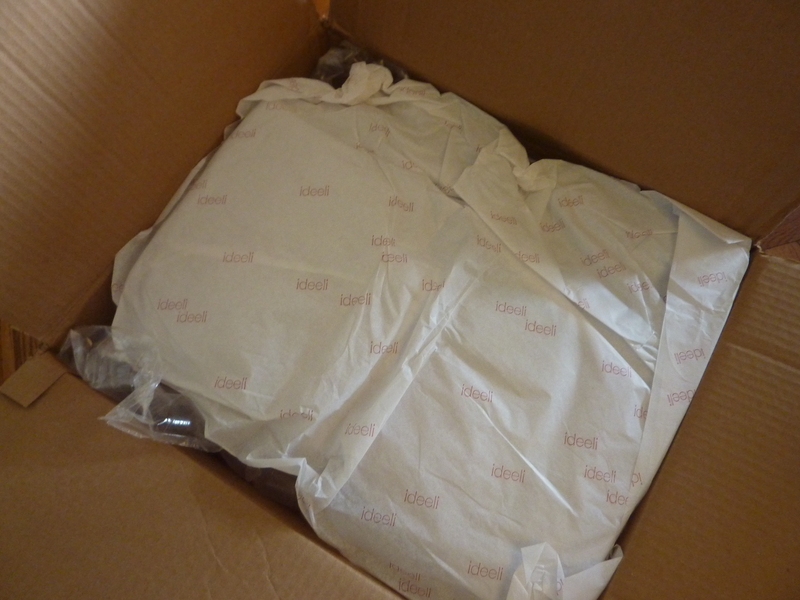 This is what happened with the Ideeli order that I placed earlier in January and just arrived, about 2.5 weeks later. I did almost forget about this order, until of course I saw I had a package and then I knew exactly what it was! 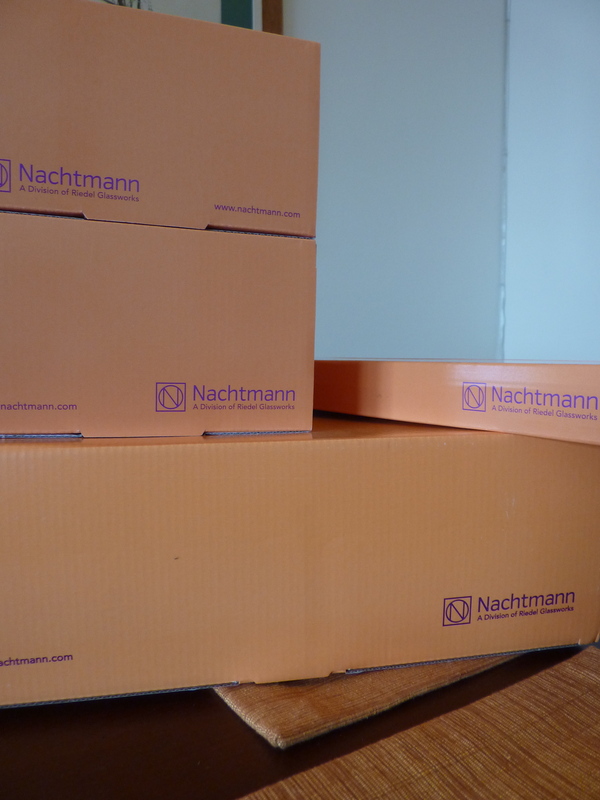 Nachtmann (a division of Riedel glassworks) Bossa Nova Basket weave bowls! So classic and elegant I am obsessed with the amazing basket weave texture (see below)! Although they honestly were a total steal, I know I will love and get use out of these for many, many years. Classic never goes out of style! 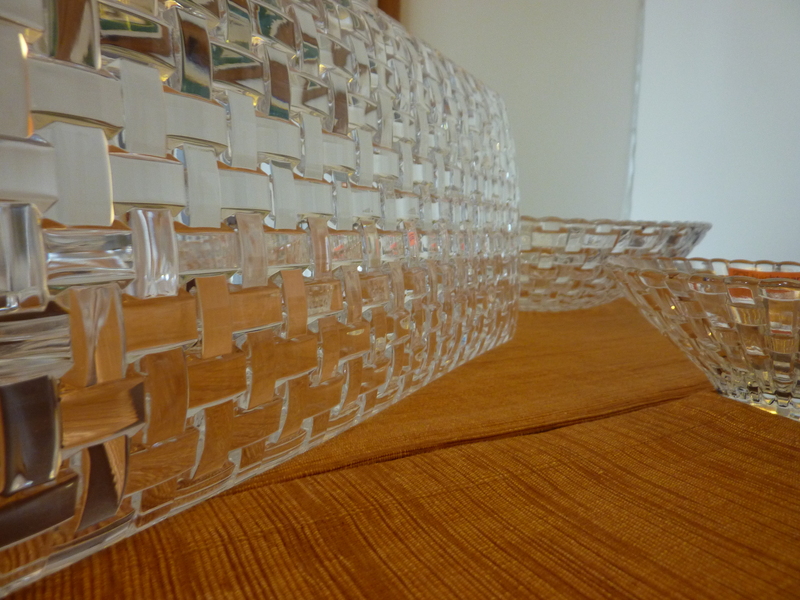 This is the bottom of the rectangular long plate, to show the basket weave texture. At 16.5×6″ this plate is by far my favorite, I literally can not get cheese onto it fast enough! Best of all, all of the pieces are made from crystal and are dishwasher safe. 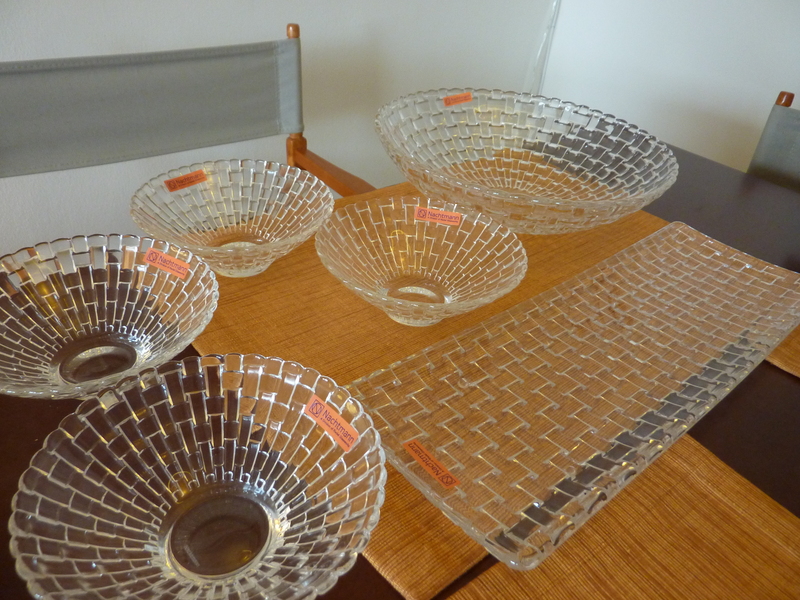 This entry was posted in Feathering the Nest, Musings and tagged Bowls, Ideeli, Nachtmann, Riedel, Shopping. Bookmark the permalink.